Chris Benjamin is a freelance journalist, book editor and an author of fiction and non-fiction. He is also managing editor of Atlantic Books Today magazine. His latest book is Indian School Road: Legacies of the Shubenacadie Residential School. Released in August 2014, it won the Dave Greber Freelance Book Prize before being published. His previous book, Eco-Innovators: Sustainability in Atlantic Canada, won the 2012 Best Atlantic-Published Book Award and was a finalist for the Richardson Non-Fiction Prize. A series of short video documentaries has been made based on the book. Chris’ novel, Drive-by Saviours, won the H.R. Percy Prize, was longlisted for a ReLit Prize and made the Canada Reads Top Essential Books List. In 2006/2007, he worked as a journalist in Ghana. He shared an honourable mention in the 2009 Canadian National Magazine Awards. 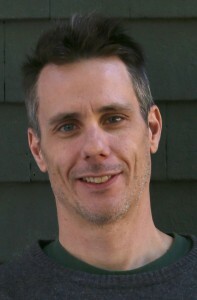 Chris has written for a long list of magazines and newspapers in Canada and the United States. A few highlights include The Globe and Mail, Science Friday, Chronicle Herald, Z Magazine, Canadian Dimension, This Magazine, Briarpatch, Saltscapes, Halifax Magazine, The Halifax Examiner, Progress Magazine, and The Coast. Chris has also published about a dozen short stories in literary journals, magazines and anthologies (published by the likes of Descant, Nashwaak Review, Roseway, Pottersfield Press, Voiceprint Canada, The Society, Rattling Books, Third Person Press, and Fierce Ink) as well as a few poems (like Spiral and Patching Wormholes with Pancakes). Chris has lived and worked in Toronto, British Columbia, St. Lucia, Finland, Indonesia, and Ghana. His current home is Halifax. You can keep up to date on Chris’ writings on Facebook and Twitter.